At the moment, the cherry blossoms are still making their way north to us in Hokkaido. Here in Noboribetsu Onsen, Spring is still wearing her coat of blustery snow. 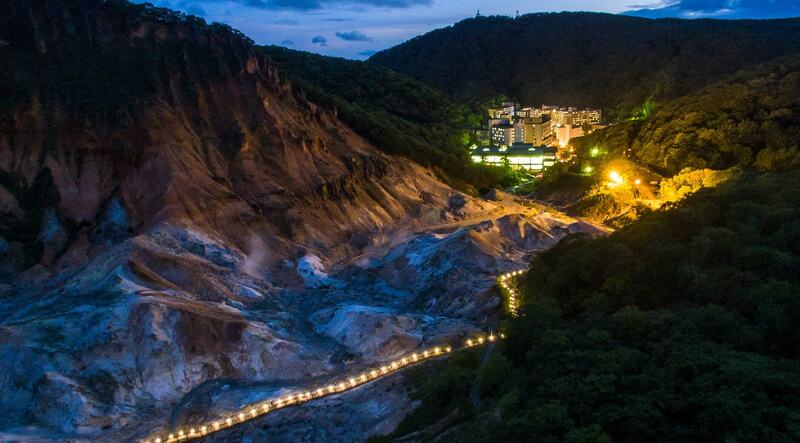 However, we know that our hot spring resort will soon turn pink and fill with blossoms. Everyone here at Dai-ichi Takimotokan can’t wait! Our friends in our first floor restaurant, Ideyu Soba, feel the same, and so they are introducing a new item for their menu. It is Hakoniwa Sakura Zushi! The traditional lacquer bowl is black on the outside, but inside we find bright pinks, oranges, yellows, and even a hint of green. Spring appears before our eyes! 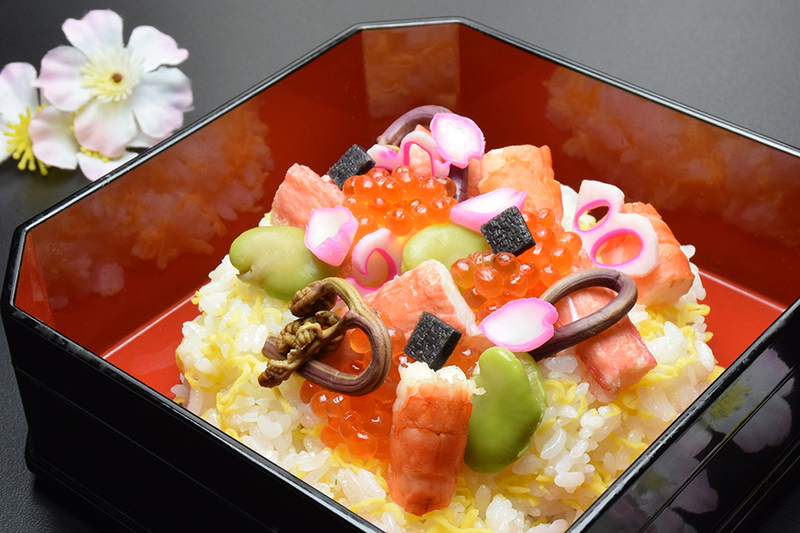 Cheerful bites of fresh crab, salmon roe, warabi (bracken), and soramame (broad bean), all contribute to the vivid palette of the new season approaching. Served with chawamushi (a savory egg custard) and miso soup, it is a delight for eyes and taste buds alike! We look forward to sharing it with you!